Sport Print ads are part of sports marketing that has become quite big these days. 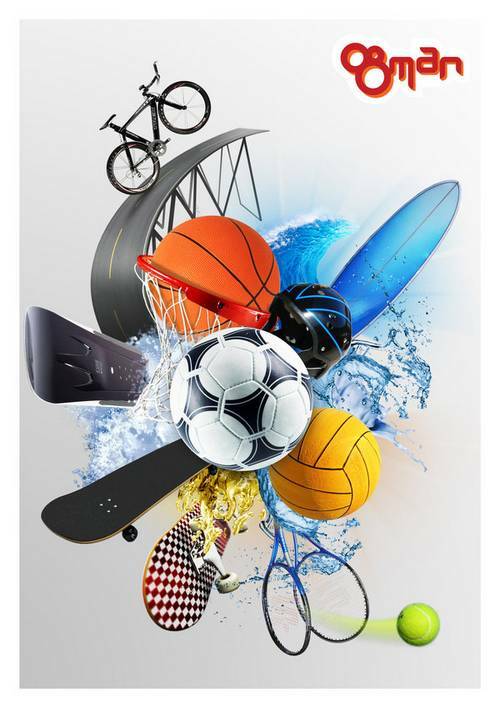 Most of the print ads are ads from some of the world renowned sport equipment companies, but apart from sport there are also some non-sport items that are also being promoted using sport print ads. You might have seen some of these ads from posters at sport shops. Some of them are hilarious, while others have deep meaning within. A lot of people spend quite a few hours of their lives watching sports at stadiums or from TVs or internet. Sport has quite a good amount of influence on our lives. For these reason expenditure of making a print ads for product relating to sports is not small. The ads sometimes promote sports that require the product or sometimes simply promotes products that are not directly related to sports. For example we have included sport ads that actually promotes milk, TV channels, radio channel, electronic products, game websites etc. The creativity in the usage of sports to promote products that has only slightest relation with sport is really astounding in some cases. 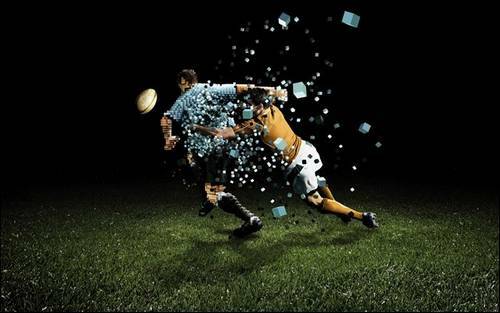 Aside from promoting products some Sport prints ads are inspiring. Sometimes, it also motivates people to be more active and healthy. For these reasons sports get high priority whenever advertising companies start to plan their product advertisements. For people who love sports, also love to see their favorite players on posters. Nike, adidas, ESPN and others have always used this trick to promote their products. But, what makes the ads more special is the creativity within. Some ads crosses the boundary of being just another ad and become something even more. The theme, words and images in some ads carries meaning so deep that some ads being massively accepted, touches the heart too. And that should be the goal of advertisement, as there is only space to describe so many things. To draw the viewer’s attention, many companies try to make their print ads eye-catching and attractive, because a single image have to hit the goal at the first view of the consumers. For this reason, it should be eye catching, attention grabbing and obviously creative in the manner of ideas or images into it. Statistics shows that sport advertising represents 2.7% of total advertising in the world. Surprisingly 48% of the total rate is related to non-sport companies. So, it can be easily said that sport ads can fulfill interest of many products or services. The rest of the percentage is greatly contributed by four segments such as: sports tourism, sports facilities, sports medicine, corporate advertising and sportswear. 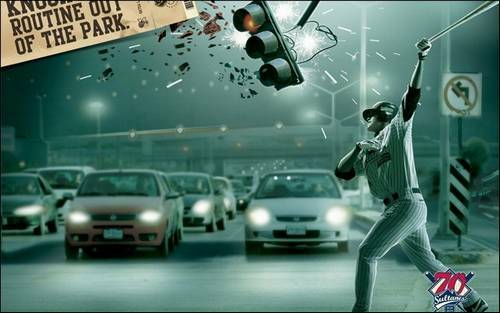 In this post you will see 40 examples of creative sport print ads and clever messages that these ads present.